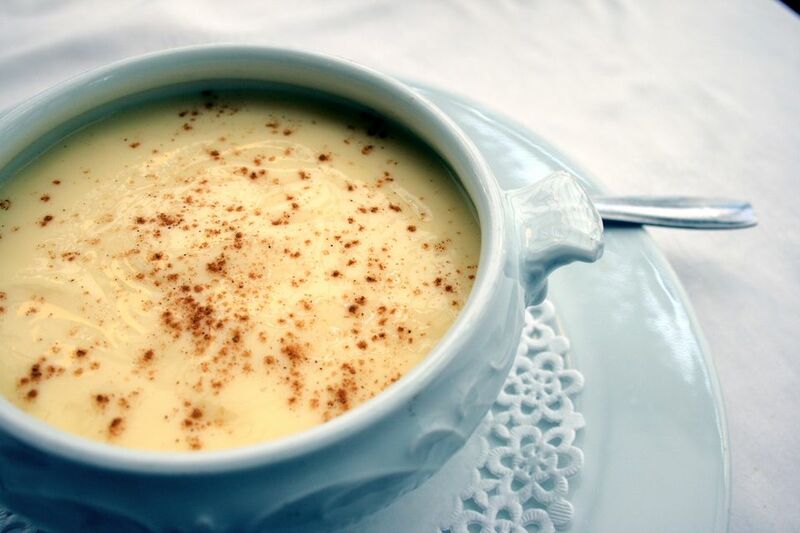 Although the exact origin of natillas (custard in English) is not known, nuns in convents across Europe prepared them. One of the theories is that the nuns actually developed the dessert. No matter where natillas came from, one thing is certain, they conjure up childhood memories for many Spaniards, and along with flan, cuajada, and crema catalana are a comfort food in Spain. This recipe is for the basic vanilla-flavored natillas, that are thick, creamy, and a rich yellow color. Although infused with lemon and cinnamon flavor when cooking, sprinkle with cinnamon on top just before serving. Other popular flavors for natillas include chocolate and turron. Flavor the milk with lemon peel and cinnamon. Wash the lemon under cold water. Peel with a paring knife. Pour 5 cups of milk into a large saucepan. Heat milk on medium high, but do not boil. Add lemon peel and cinnamon stick and then remove from the heat. Allow to sit for about 10 minutes. Add the cornstarch to the remaining milk and whisk to completely dissolve the cornstarch. Eliminate any lumps with a stick blender. Separate the yolks from the whites, placing yolks in a large mixing bowl. Add the sugar and beat with an electric mixer until it is frothy. Add the milk-cornstarch mixture and beat until thoroughly mixed. Set aside. Remove the lemon peel and cinnamon stick from the milk, using a slotted spoon. Return the pot to the stove on medium heat. After milk is hot, but not boiling, add the vanilla extract. Begin pouring in the egg yolk mixture while beating with electric mixer on low. Make sure that there are no lumps. Using a wooden spoon, stir continuously, so the milk does not stick. Stir until mixture thickens up. Pour natillas into 6 small bowls, ramekins, or large cups. If there are any lumps in the natillas, use a sieve to eliminate them. Allow to cool to room temperature on the counter, then cover with plastic wrap and refrigerate until ready to serve. Sprinkle with ground cinnamon just before servings. Some cooks like to decorate with a Maria cracker, or pirouline (rolled wafer) cookie.